First: act quickly, as this free offer is only good until 9:19pm this evening, Philadelphia time. The Philadelphia-based producer Y?Arcka is a frequent subject of Downstream entries here at Disquiet.com, thanks to his intensely focused hip-hop productions, which tend to take a tiny slip of an existing track and extrapolate from it a fully considered instrumental composition. Though his own works at times push him toward the avant-garde edge of the instrumental-hip-hop continuum, Y?Arcka (alternately Why?Arcka, which stands for Young Architect) in no way distances himself from basic algebra of hip-hop, in which a prepared track is passed to a vocalist, yielding a finished work that has, generally speaking, one author responsible for each of its constituent parts — not counting, of course, the musicians who were the source for the samples, or guest vocalists. 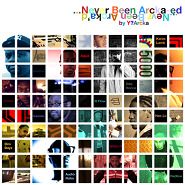 In a full album just out today, and available for free download only until 9:19pm (Philadelphia Time), Y?Arcka has teamed with over a dozen rappers/vocalists, including the noted rhythmic raconteur Zilla Rocca. According to a tweet Y?Arcka sent me earlier today, folks who download the album will also receive a set of the instrumental versions. Especially looking forward to hearing the instrumental of “Up My Sleeve,” its central riff something halfway between a talking drum and a flute, and of “Mr. Matic,” with its super tight mix of drums and guitar.